Many a times, people remain confused about the residency rules to decide the Residence in India & the taxability of the income thereon. Below is the official version of the residency rules as described in Section 6 of Income Tax of India, 1961. Please feel free to post your queries if any on this subject. Dear Friends, we had conducted a survey few days back for Income Tax Return filing. 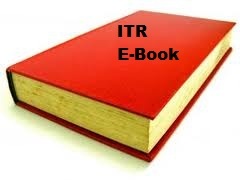 Based on the common issues faced by general public during Income Tax Return filing, we have created an E-book. To download the same please join our facebook group. Please feel free to ask for any queries either here in the comments section or in the Facebook group.